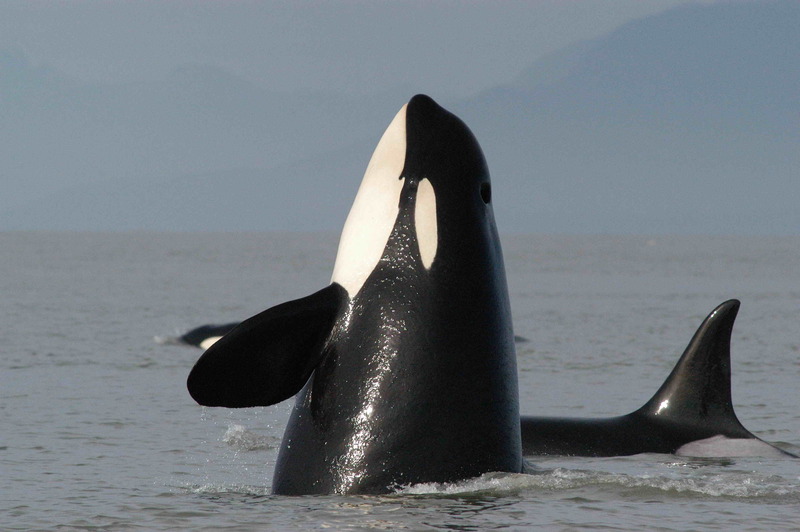 Come to this unique part of the Washington coastline and visit the Orca Center on the boardwalk which has interpretive exhibits. The 21 acre park has come to be known as one of the best places to view Orcas from land in the area, especially in the summer months when 3 local pods pass by often. Take I-5 north through the border at Peace Arch State Park in Blaine. Drive about 18 miles north on Highway 99 in B.C. Take Highway 17 west to 56th Street. Turn left on 56th Street and follow it to the Point Roberts border crossing. Once you enter Point Roberts it is only 2.5 miles from the border to the park. Go straight on Tyee Drive, and follow it past the marina. Keep following the same road along the water until you reach Lighthouse Marine Park on your left-hand side.